Bio of new rock band Romislokus. Biography of Romislokus. Part 1. Yuri Smolnikov plays music and makes art since 1973. He studied at Hydrological Institute in Odessa city. The guitar was always with him and his first compositions were created at that period. In 80's he found himself in another world. The time of disco came and many of his favorite musicians stopped working on music. He began to search new ways in music, to experiment. 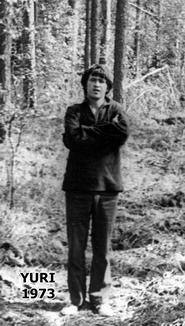 He traveled across the country: from Black Sea till Siberia an then up to Kamchatka. Yuri changed a lot of professions. For 10 years he wrote about 300 songs. In 1991 in Tomsk (Western Siberia) and in 1995 in Kirov one after another he organized two rock - laboratories, where more than a hundred of musicians were free from commerecial motives creating rock music. That was the only place for rock musicians to play together, to exchange ideas, to form new bands. 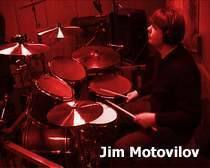 In 1997 in Kirov Yuri played with the band "Every Sundays Raining" where Jim Motovilov took part on drums. At that time Yuri created well-known todays Romislokus compositions Captain Zero and Loosing the Time. After playing some performances at Rock laboratory festivals Jim and the bass player of "Every Sundays Raining" Igor Ananin left the band and moved to Moscow for success and money in the pop band Gone to walk. Remaining the leader of Rock laboratory Yuri continued to make own music also helping young musicians and songwriters to get on their own way in creation. Not looking for anyone to play music with he suddenly found new band-mates among his free willing students. The Night. He finished musical school on piano class but in the band he played on guitar. Yuri influenced him strongly so Evgeniy switched on keyboards in new forming laboratory's band The Ocean where Mike Solo (real name Mikhail Solovyov) began his music carrier on lead guitar in 1997. The Ocean played soft and art rock and very soon became very popular in Kirov thanks to Beatles melodic style and active self-promotion. 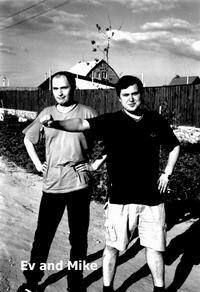 In 1998 Evgeniy and Mike began taking part in Yuri's project "Romislokus" where some of laboratory's musicians sometimes did. The experiments were very successful and it seemed obvious to all of them to get together after "The Ocean" finally broke up.